Showcasing their ever-expanding products this website uses various “views” to make it easy for consumers to find what they are looking for. 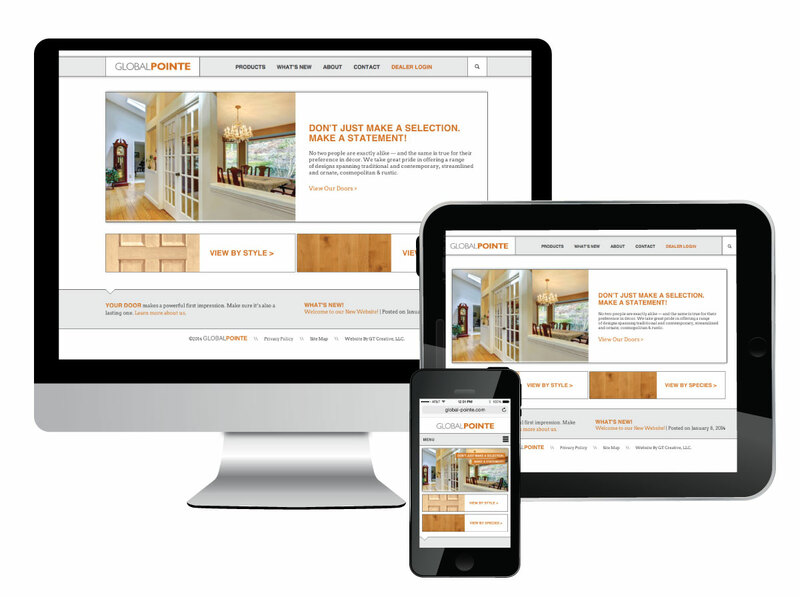 A Dealer Login portal was built to house pricing, spec sheets and other documents so their dealers can easily access information and new updates quickly. 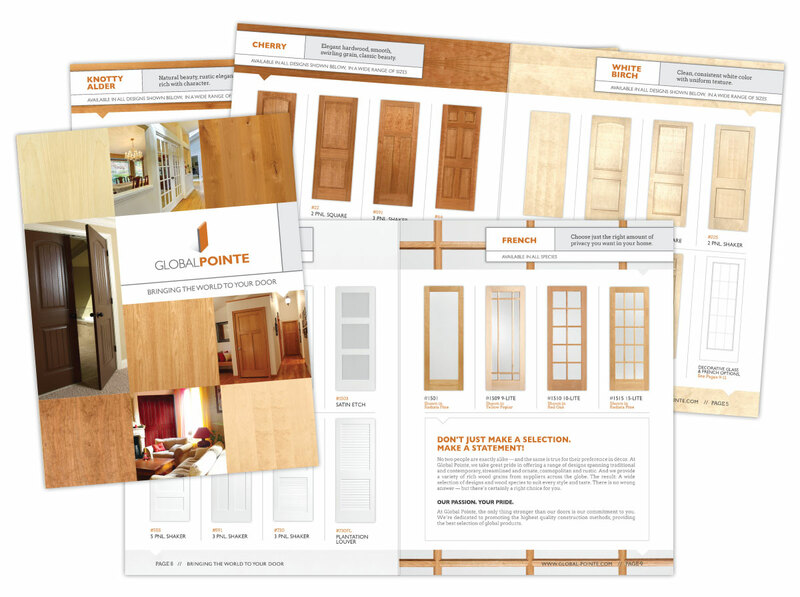 The Global Pointe interior door catalog utilizes GT Creative photography, photoshopping and placement of doors into a redesigned layout in this saddle stitched, 16-page book. This catalog was designed with the intent to show off the beauty of the wood and details of each door.